Sparrow upon rescue. She has come a long way in just a few months and has made a best friend with Chicopee. Sparrow is finally healthy enough to begin training. 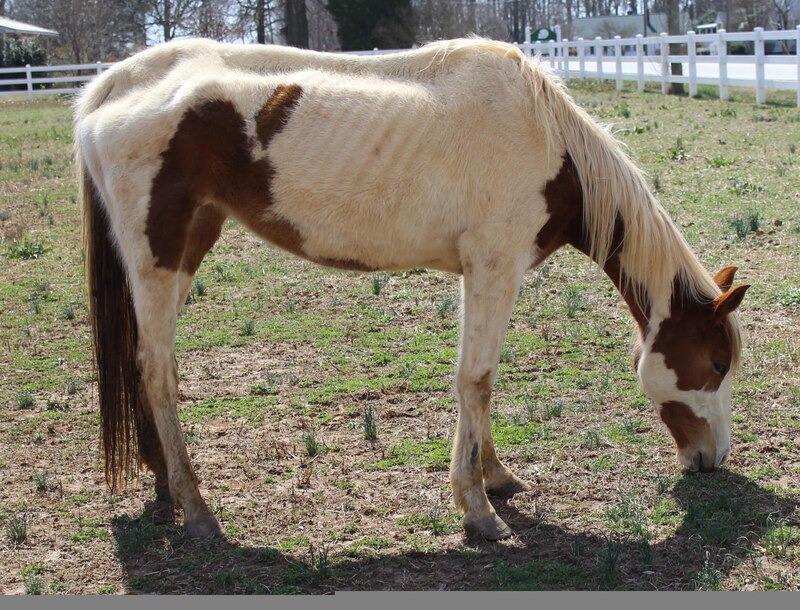 Read about Sparrow's story in the April 2014 newsletter.